The Urban Land Institute of Kansas City (ULI-KC), a group dedicated to providing leadership in the responsible use of land and in creating and sustaining thriving communities, hosted an incentives panel on January 31st. 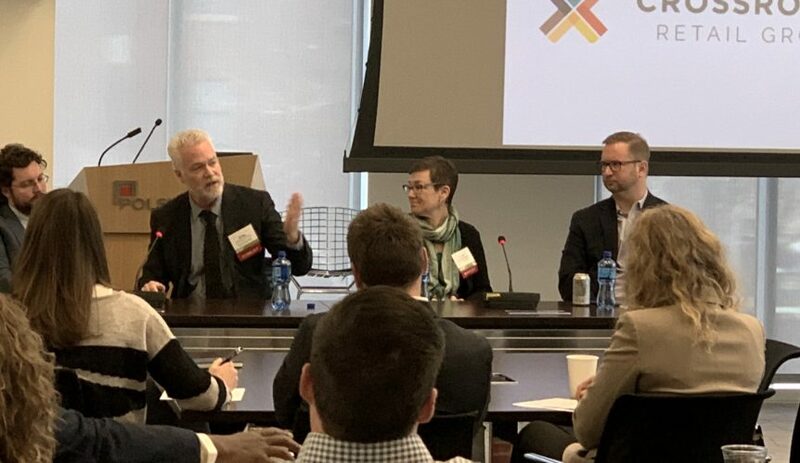 EDCKC’s Senior Vice President, Business and Real Estate and Development & Executive Director of LCRA, Greg Flisram, was one of four panelists. The audience of cross-disciplined individuals in development, not-for-profit, architecture, construction and more, heard the panelists discuss a variety of topics including: the typical incentive intake process, the ins and outs of the PIEA (Planned Industrial Expansion Authority), pros and cons of layering incentives, details around prevailing wage, affirmative action requirements, historic tax credits, and ideas on how incentives could evolve in the future to be more equitable for all. While the process can be complex, EDCKC is available to guide developers and interested parties through the steps. During the event, it was noted that a Kansas City, Missouri study revealed that from 2006-2015, a positive return on investment made by incentives programs is being seen, with each incentive dollar generating $3.83 in additional tax revenue. Momentum has been seen in recent years, but in order for progress to be continued city-wide, the panel echoed that more discussions around improved wages, neighborhood needs, cost structures, and more, will be necessary.